How do I Avoid Mystery Shopper Scams? Secret shoppers may fill out online forms and surveys in relation to a store's service quality. If you want to avoid mystery shopper scams, the first thing you should be wary of are any companies that ask you to pay money to become a mystery shopper. In addition to this, you should do lots of research on any mystery shopping company that you come across. If there are companies advertising for mystery shopping that offer to pay you money to do the job before you've even started, that should also raise a red flag. There are several legitimate mystery shopping companies out there, but there are also many mystery shopper scams. You can usually avoid being taken in by the scams if you proceed carefully and educate yourself on what to look for when determining whether an opportunity is a scam. Mystery shopper scams often request money from potential employees before they begin work. The people behind the scam might claim that the money will be used to cover training materials or as payment to get your name into a database of other mystery shoppers so that you'll have the opportunity to take on more mystery shopping jobs. The vast majority of legitimate employers do not ask their employees for money upfront. Legitimate companies should usually be paying you to work for them, not the other way around. It would likely benefit you to be immediately suspicious of any mystery shopping company that asks you to pay it anything. If you are unsure as to whether or not a mystery shopping company is actually a scam operation, you may be able to do some research to find out. Typing the name of the company into an Internet search engine followed by the word scam might produce some results that would give you your answer. People often create reviews of their experiences with various mystery shopping companies and post them on the Internet to share with others, and reading these reviews could clue you in on various mystery shopper scams. You might also want to try looking up the company's history with the Better Business Bureau or other similar organizations that rate companies based on their legitimacy and reliability. There are some mystery shopper scams that promise to send you money before you've even started the job. This is usually a sign of a scam because it is not common practice for most companies to pay people before they have started working. In the case of most mystery shopper scams, the money will be mailed to you in the form of a fake cashier's check. You're usually given instructions to send part of the money via wire transfer to a foreign bank account within a few days upon receipt of the money. Your own money ends up being sent with the wire transfer because the bank discovers that the check is bad, and you might then be held liable for attempting to cash a fraudulent check. How Do I Become a Professional Shopper? What Skills Do I Need as a Professional Shopper? How do I Recognize PayPal&Trade; Scams? How do I Recognize Work at Home Scams? 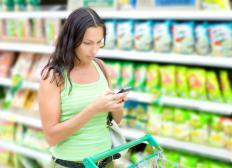 What do Mystery Shopper Companies do? What are the Different Mystery Shopper Jobs?